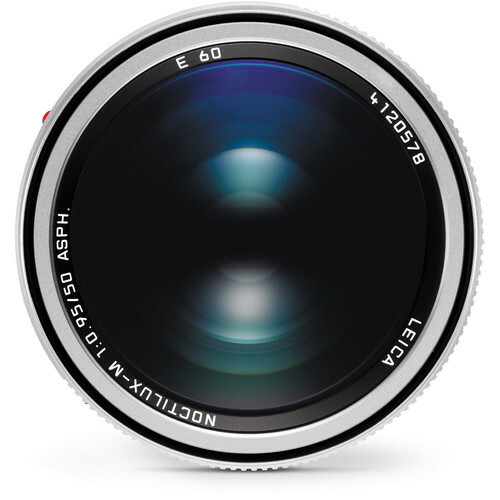 If you are a Leica user you are probably familiar with Leica Noctilux 50mm f/0.95 which is one of the fastest lenses in the world. This legendary lens carries with it a history that dates back to the days of Dr. Walter Mandler in the 1960s which has made Noctilux Holy Grail of lenses. However, Leica Noctilux is much more than a great portrait lens in my opinion because the quality of images are superb when the aperture is dialed to f/5.6 or higher. 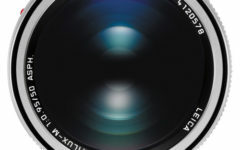 This is because the lens design is so sophisticated that the quality of images in sharpness and contrast increase dramatically as the aperture is dialed to higher numbers. It is for this reason; I feel that I can take this 50mm lens to just about any difficult situation even if it is low light or near dark photography. 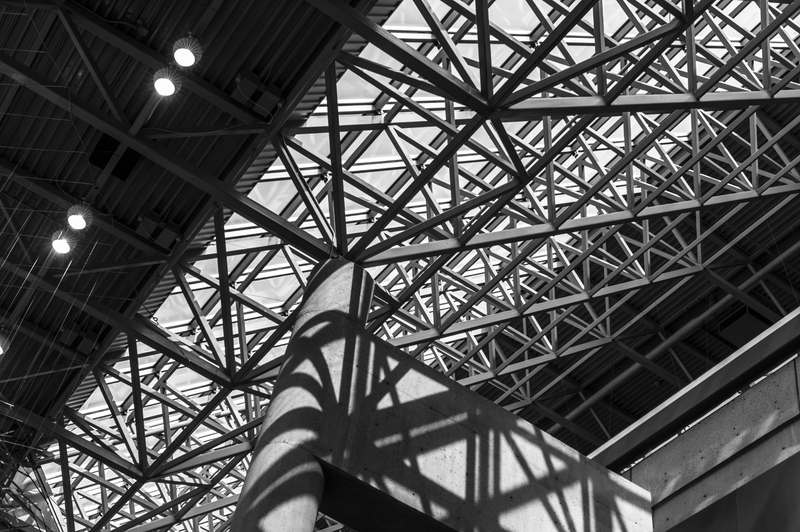 Recently, I was at a fair show for my film company which allowed me to have some time to explore Montreal’s Palais de Congres. 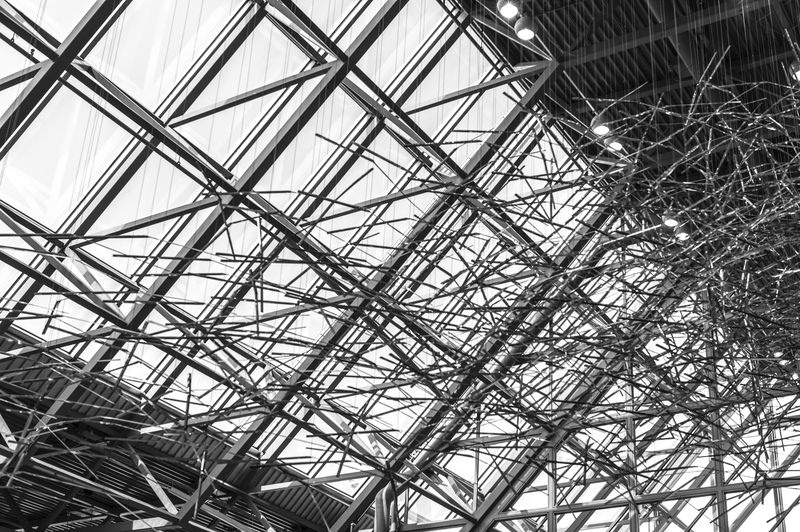 This building is a monument to modern architecture which houses much of the trade shows in the city. On the other hand, if I was using a wide angle lens CMOS sensors it would allow the frame lines to be shown in the viewfinder which is often an advantage for novice or beginner photographers. In my case, using a 50mm lens meant that I could frame the photographs by just looking through the viewfinder because it is not a wide angle lens. 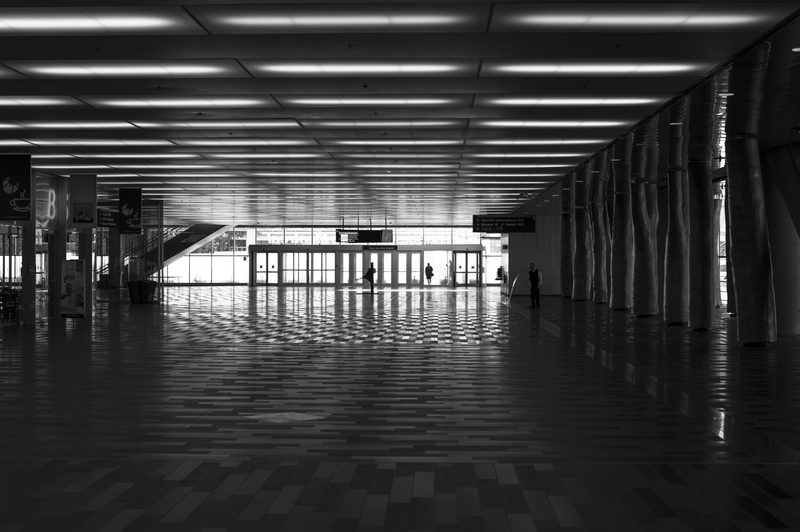 As I started my journey through the huge expanse of this modern building, I immediately noticed the way sunlight was playing with shadows in the interior space, creating high contrast images. I love using a monochrome camera precisely for this reason rather than a color one because most interior spaces are either grey, black or some other color in between which when photographed in black and white create dramatic images. In interior spaces, the challenge is controlling the amount of light entering through the lens because if the ISO and aperture are not set right the images will have blown out parts with dark parts that lack detail, in other words, we would have a silhouette effect. There is one important tip I can share with you on how to take better architectural photographs. It is this; a good architectural photograph requires proper positioning. So as a photographer, you have to consider which angle of view would result in the best photographs. Cameras help you to capture images in good quality, but they can’t do the framing for you. In another word whatever camera you are using is at your service and not the other way around. For this reason, I had to make adjustments because I was using a 50mm lens rather than a wide angle lens like a Leica Summilux 24mm. This meant that the objects would be having a different spatial positioning than a wide angle lens. 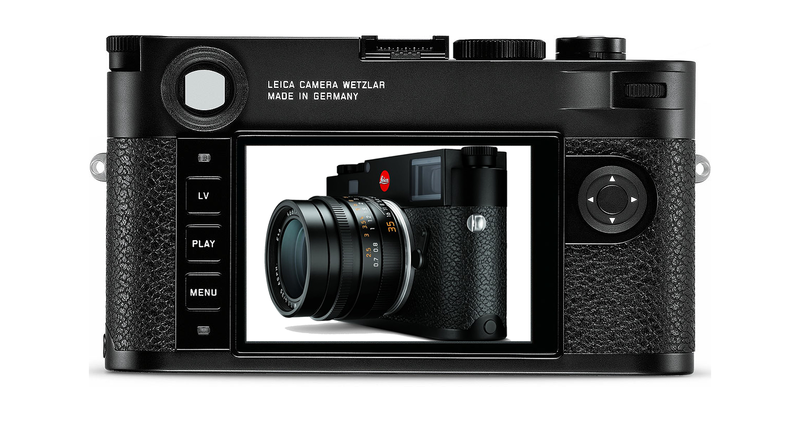 In fact, Leica Noctilux will have less “distortion” spatially to render a more “accurate” photograph. This, of course, is not the reason why architectural photographers lean more towards using a wide angle lens. They prefer wide angle lenses like Leica Summilux 24mm or 28mm, for example, because they can “squeeze” more details in a frame. Personally, I believe that the details are there, it is a matter of choice of the photographer to bring whichever he deems important forth. 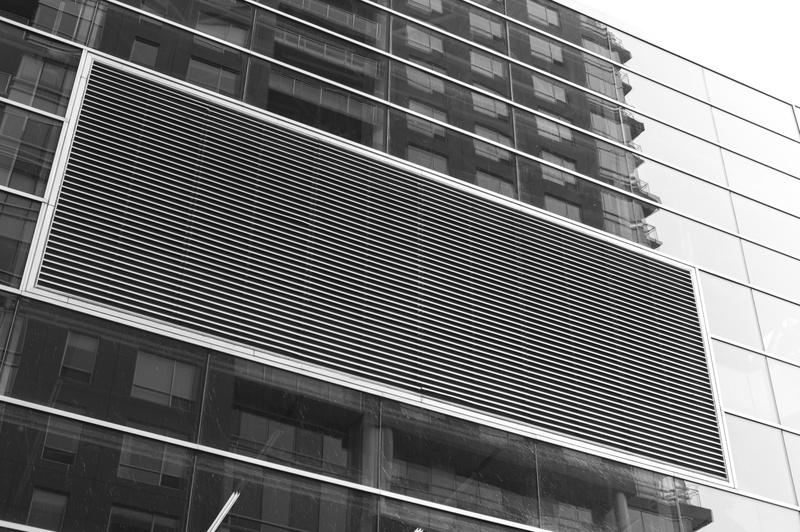 So for that reason, I love using 50mm lens in architecture photography because it keeps the frame clear of “too much to look at” feel. What I mean by that “too much” feel is that the image carries too many objects or details that detract from the intent of conveying the essence of what the photographer was intending to capture. 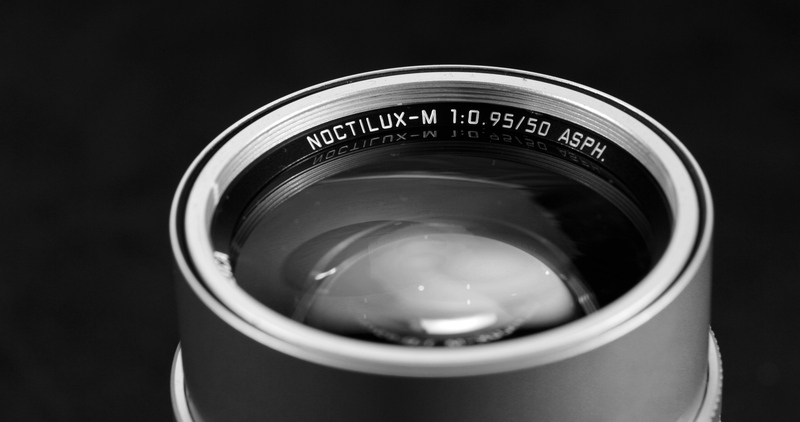 In this respect, I see Noctilux as a gem because it serves to allow a great amount of light due to its large barrel size (60mm). This means the amount of available light will allow lower ISO numbers while creating more contrast and detail in the final image. Basically, light gathering capabilities of Leica Noctilux allow the photographer more options as he is able to dial the aperture all the way to f/0.95 if it need be. For me what made this building special was the way the architect had taken the time to design a space where the day light cast a good amount of light into the interior space without having to expose the space into direct sunlight. This I think is an important consideration because direct sunlight causes the temperatures in the interiors to rise in the summer months and also make those places under direct sun exposure to be useless. This attention to detail has made this building interesting because light causes a direct contrast between the areas receiving light and those areas in the shadows. Regarding photography this type of lighting cause photographs to be more dramatic especially in the interior spaces. For those who are interested in understanding the effects of light, I suggest having a look at the paintings from the impressionistic period during which the artists attempted to paint building at different times of the day. The interplay of shadows and light are interesting points of view in understanding the way light plays on surfaces of buildings. 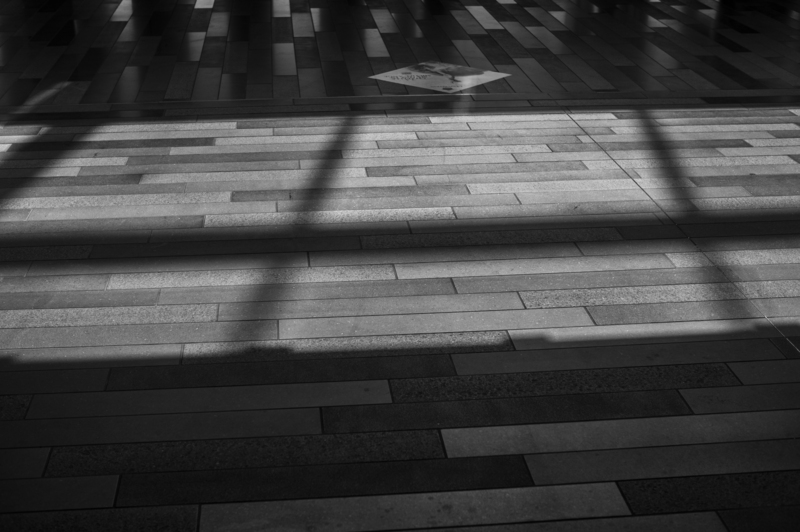 In a certain way, I would say the way light enters into a building sets the mood of the space. In photography we can compare the way light is distributed as using reflectors. 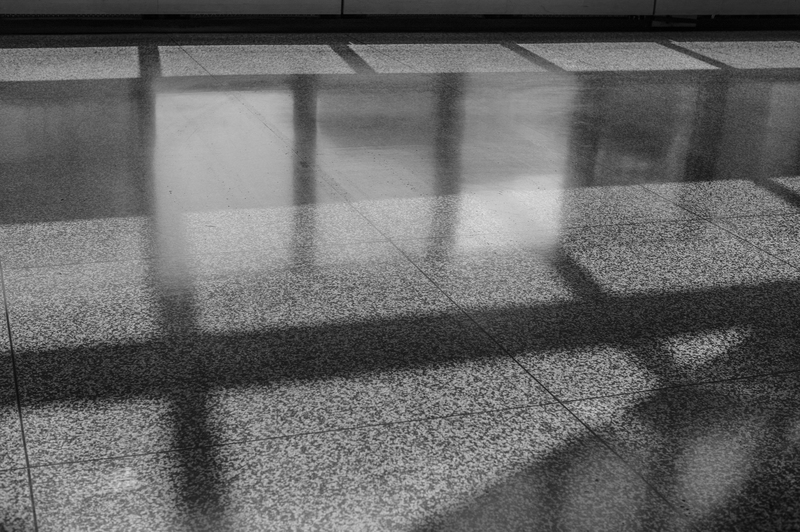 To better demonstrate this, I took this photograph where the light was hitting the shinny marble surfaces of the floors creating contrast as the same surface appeared differently under changing light conditions. Another aspect of this space was the way it attempted to minimalize everything to the bare essence of structure. This meant that as a photographer I had to take notice of this and convey this spirit in my photographs. This I believe can be compared to having an element of zen where everything is minimalized to allow the viewer to notice details in the photographs. Too many times I have seen photographs that have too much detail to miss the point that the photographer was attempting to convey. A 50mm lens like Leica Noctilux is special because it allows you to concentrate more on details rather than squeezing in more information. 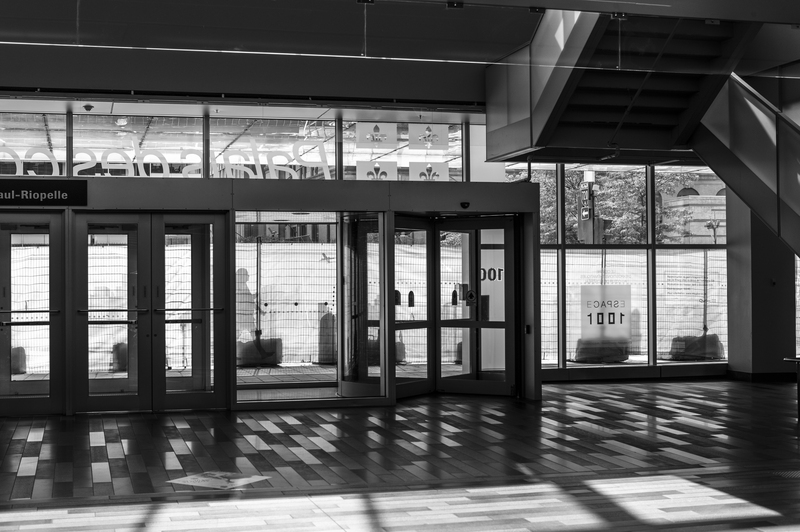 Of course, it becomes a challenge for those who are starting out in architectural photography because they have to begin making conscious choices on what to include in the frame. As for Leica Noctilux, I believe that a good photographer appreciates the way the aperture and focus ring move ever so smoothly allowing a seasoned photographer to dial in everything without having to glance at the setting on the lens. Then the lens becomes an extension of the hand which simply operates the camera while decisions are made more in an unconscious manner by the photographer. This for me is being in a zen state when you don’t have to think of the operations of the camera but merely notice details, and your hand does the rest. 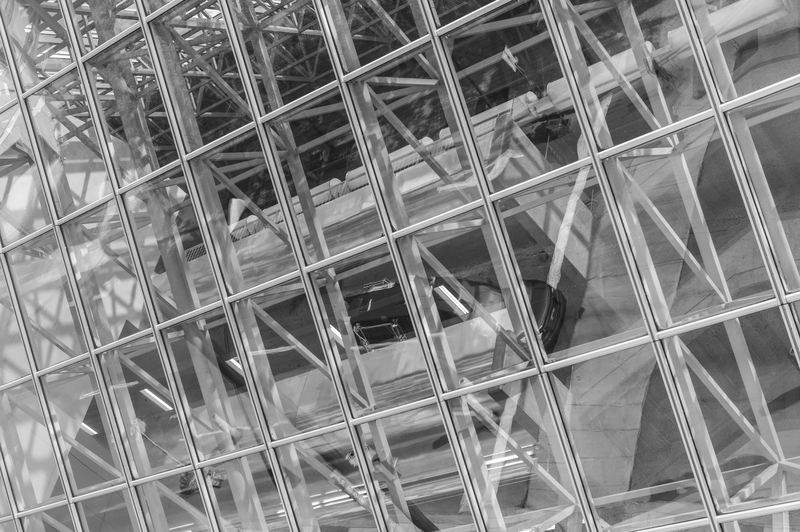 On the exterior of the building interplay of glass and steel were the defining factors to consider in photographing this building. Noctilux has a hefty feel in my hand because it is larger than all other lenses in Leica’s rangefinder line up. This is a definite plus for me because the barrel of the lens fits perfectly in my hand allowing me to dial in any aperture or focus setting easily. In my previous articles, I have mentioned more about the way this lens is built such as the number of elements and groups used to construct this magnificent piece of masterpiece. For this reason, I will not go into the details of its design; it should suffice to say that it has a complicated lens design. It is for this reason this lens can also be so versatile for portrait, general or architectural photography. Again, the choice of focal length and lens comes down to personal taste while some may try to use only the widest angle lenses for photographing architecture, my suggestion is to use a wide variety of lenses to get the feel of how each lens gives a distinctly different result. 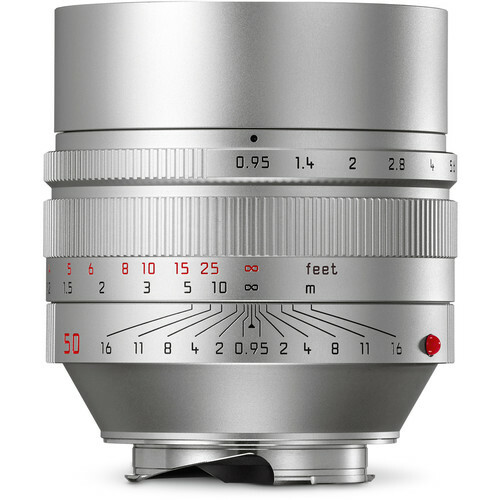 By the way, if you are in the market to buy a Leica Noctilux 50mm f/0.95 then I suggest you look at Ebay before rushing into the nearest Leica store because one you will never find Leica Noctilux on sale or on consignment but end up paying the huge mark up that is passed on to the consumer. When you shop on Ebay or or Amazon you are more likely to save several thousand dollars. 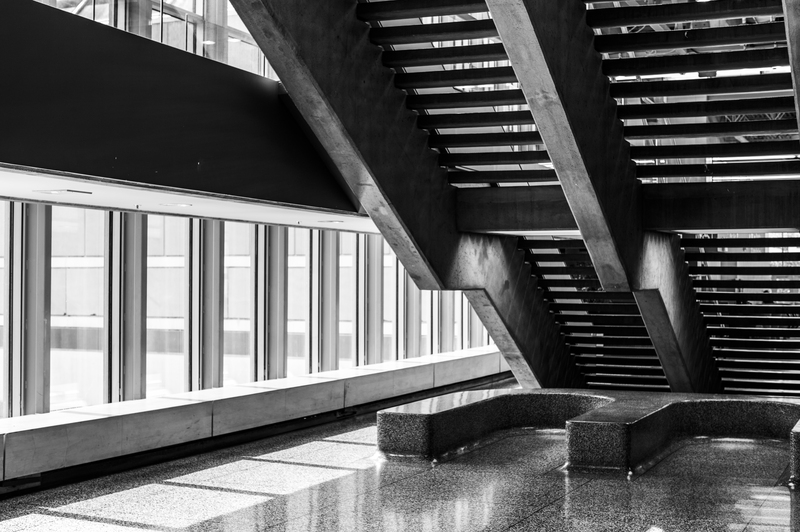 For me, these photographs convey the feel that this space has and they tell a story which is congruent with the way this structure was design. I hope you have enjoyed this article. Again, I would like to thank all those who have sent in their comments. I look forward to hearing your comments. Isn’t that what photography is supposed to do? Using an older camera like M9-P has some drawbacks, there is no critical focus, electronic viewfinder or Live View option nor advantages of CMOS sensor’s dynamic range. 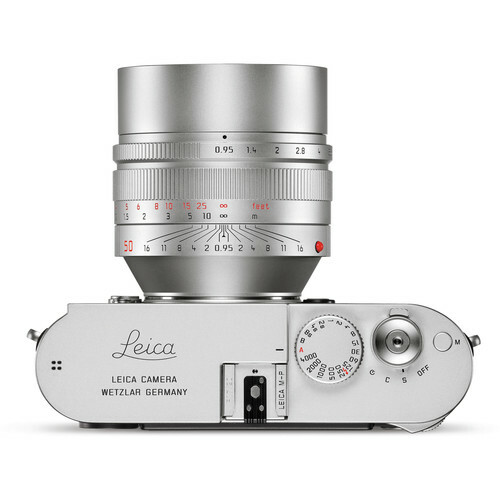 If you are a purist or you have used your Leica camera for a long time, you may agree with me that none of these advancements are crucial in capturing beautiful images. 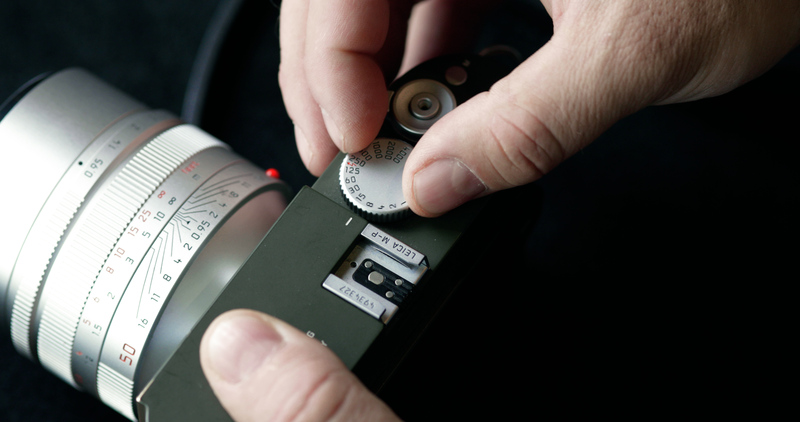 I would even say that this is what makes Leica cameras timeless. Technology may introduce more for photographers with higher megapixels numbers or video capabilities to dress up a camera, but in the end, all comes down to the abilities and creativity of the photographer to create amazing photographs. Concerts are a fun way to test your ability to photograph because the action continues so you must concentrate and see the ‘action’ through your viewfinder at times. A lens like Leica Noctilux-M 50mm f/0.95 lens begins to shine at times like this not only because it is a fast lens, but it can create fantastic bokeh that just isolates the subject from the background. It brings us immense pleasure that you have enjoyed our videos and reviews. 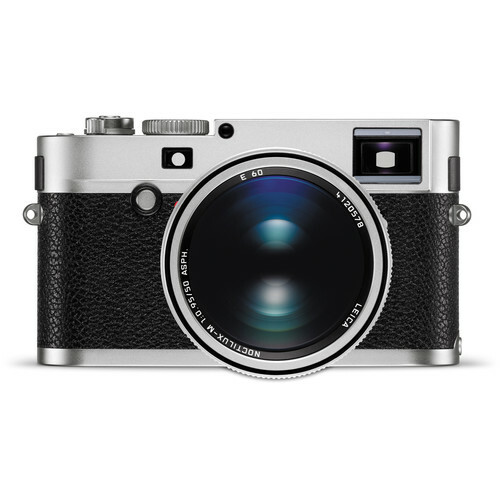 We look forward to bringing you more on Leica cameras and lenses. We kindly ask that you help us with by donating a sum to keep our website running.